Moving to a Big Kid Bed - Joyful Toddlers! A bed is a place where a child must feel cozy and safe and secure, in order to relax her body and fall asleep. Young children thrive on knowing how things go, and developing relationships with the people and the things in their lives, so it is no surprise that a new bed is a big change and DOESN’T feel secure. One way to have the transition to a new bed go smoothly is for us (as the safe and secure adults in her life) to lend our own presence to the bedtime routine until your daughter develops her own relationship with it. This may involve a fair amount of effort on your part, and perhaps significant changes in your bedtime routine, but it sounds like putting her back to bed a dozen times is involving a fair amount of effort on your part, anyhow! Better to put that effort into helping her feel secure, and develop good habits around how to act in her new bed. Smoothing the Way For those of you who are just contemplating the switch to a big-kid bed, start talking about it 1-2 weeks before you plan to make the switch. Tell your child that now that she’s big, she’ll be getting a new bed that is so cozy and soft. If you will need to change the bedding to fit the new, larger bed, get it in advance, and bring it out one piece every few days. “This will be the blanket for you new bed. You’ll sleep so well under this soft blanket. I know…let’s put this blanket on your bed now, so that you’ll know how soft it is.” If you can tuck the sheets in tightly enough, put them on a bit later, perhaps a week before the switch. Scent is very strongly connected to comfort and security, and having sheets and blankets that ‘smell right’ will help the relationship to the new bed start off on the right foot. For you, Exhausted Mom, this part is a big harder, since you’ve already made the switch and your daughter doesn’t like the new bed. Instead, you might bring out the ‘big guns,’ and take a blanket off of your own bed as a Special blanket that will help her sleep. Making the Switch While your child is getting used to her new bed and learning that it is indeed a cozy, safe and secure place in which she can relax her body and fall asleep, you will need to provide that security with your presence. First of all, make sure that during your lead-up to bedtime, you are helping her body slow down and get ready for sleep. Have the house gets darker and darker (turn out the lights and pull the curtains if it’s summertime) and your manner gets slower and slower, softer and softer, throughout the process. If you read your child stories before bed, only read one. If it’s very short, you can read the same story two, or even three times. Read it a little slower and softer each time. 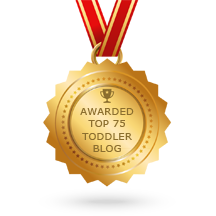 This way you are helping your child wind down, instead of winding up with lots of new images. Then tiptoe to bed and tuck your child in. Read my post on Help Getting to Sleep, here. For the first week or even two, my suggestion is to stay until your child is asleep, sitting quietly near their bed or lying down next to it (not in it; this is SO cozy and secure that your child might never want to let it go! Also, it’s easy to wake her as you get up to leave). Then, when this new rhythm is well established, wait until your child is ALMOST asleep and then give her a kiss and whisper in her ear: “I’ll let you finish falling asleep on your own. Sleep tight.” Stay right outside the door and shush her if you hear any movement. If she gets up, put her back in bed and stay with her till she falls asleep for a few more days. Gradually, you can start ‘letting her finish falling asleep by herself’ earlier and earlier, until you find a point that feels good to both of you. Midnight Wakings If your child wakes in the middle of the night, it’s up to you what to do. But if you don’t want her climbing into bed with you, my suggestion is to respond in a very sleepy voice, “It’s still time for sleeping.” Take her back to her bed, and go through a very quiet version of your in-bed rituals with her (rubbing her back, humming a song), then sit quietly by her bed until she’s asleep or nearly asleep. Children who are at least 2.5 who wake in the night can often be comforted by the idea of a Guardian Angel. Put up a picture of a guardian angel (or some sort of protective symbol that works with your world-views), and tell your child that while you’re in your own bed, the Guardian Angel will watch over her and keep her safe. Near the end of your bedtime routine, incorporate a little ritual where you pass the responsibility over to the guardian angel to watch over your little girl and keep her safe. Tell your child that if she wakes up in the night, all she has to do is look and see if her Guardian Angel is there watching over her, and she’ll know that she is safe, and can close her eyes and go back to sleep. Great suggestions! I really like that you made sure to stress not getting into the bed to sleep with the child. Not that this is necessarily a bad thing, but once you get in, it will be very hard for you to get out. Then, you will be dealing with another problem at a later date which could have been avoided entirely. Also, I’ve found it helpful to encourage parents to allow the child to help in making the decision regarding what kind of bed is purchased as well as the bedding that will be used. 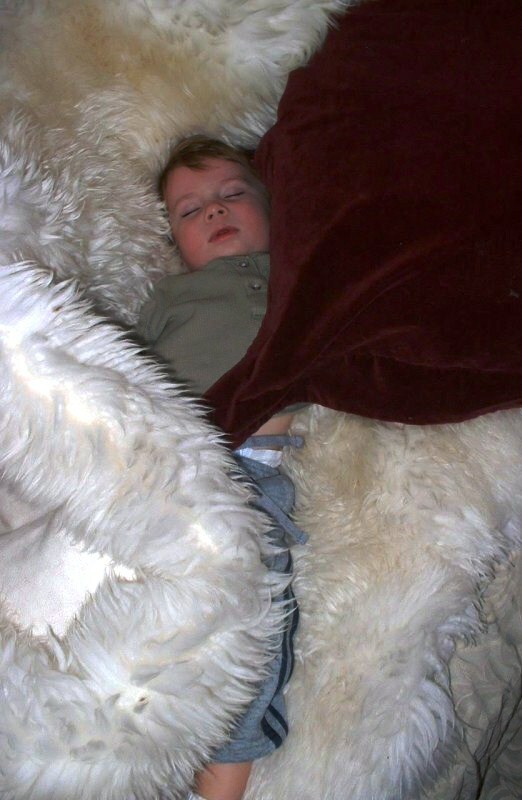 When my son was ready to move from the crib to a big bed, he got to choose the bedding. Buzz Lightyear everywhere certainly wouldn’t have been my choice, but it was his. And he loved his bed. Thanks for commenting, and I’m glad that your son’s switch went smoothly. I actually find that for children under the age of 3, the idea that they will have more buy-in if they get to make the choice is something of a fallacy. Children at that age live so much in the moment that I haven’t noticed much of a connection between the time when they get to choose, and the time when they deal with the results of their choice (hence the frustration many parents feel when a two-year-old chooses something and then cries because they want something else). What DOES get buy-in from kids, is parents being very excited about how much the child will love it–which they often do when they have given the child the choice. But we can be excited in this same way without having to plaster Buzz Lightyear all over, if we want to! Certainly if the child is under 3 it may work better the way you described. Gus stayed in his crib until after his third birthday. Most experts agree that keeping the child in their crib until age 3 is ideal if at all possible. However, many times parents aren’t able to keep their children in the crib for this long due to safety or other reasons. Then it becomes necessary to make the switch early. I had to weigh in here – I believe there is nothing wrong with your kids sleeping with you at a young age. Our youngest toddler sleeps with us in the big bed. She was accustomed to sleeping in her own bed but recently she switched over to our bed. My wife and I have been extra busy and I think it is time for her to feel safe and secure. We do not let her “cry it out” or force her to sleep in her own bed. I guess there are just different parenting techniques on this but to us we want our little one to feel safe. Hi Kevin, Thanks for weighing in! I appreciate what you have to say, and I agree. I think family beds are wonderfully warm and secure for children, as long as it works for everybody in the bed. In switching from a family bed to their own bed, having you lie next to them as they fall asleep sounds like a good transition strategy. In this post, I was thinking more about the process of changing from a crib (where a child was used to sleeping alone) to a bed (where you’re hoping that they will continue sleeping alone). But I absolutely think that each parent knows his or her child the best, and each family figures out what works for them.